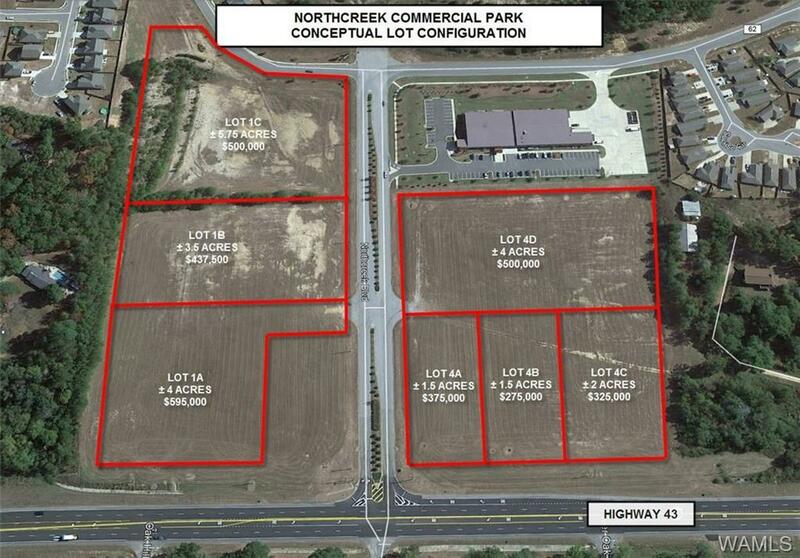 3.5 +/- Acres of Commercial Land located on HWY 43 N and Northcreek Blvd. (Union Chapel Rd). Property is flat and graded with all utilities in Northcreek Blvd ROW. Traffic Count of 18,000 VPD. Property can be further subdivided. Call agents for surveys, conceptual plat maps and further information.